What happened to the list? As the CCJ transitions to a model better geared to leverage social networks, we are moving away from our past use of email notification services. If you would like to be added to our internal email distribution, please send your request to Rick@RARWRITER.com. You can also follow us on Facebook and Twitter, which we will use to keep you notified of new features and news articles. Use the RARADIO link to go to our radio page, where you will hear songs you are not likely to hear elsewhere. 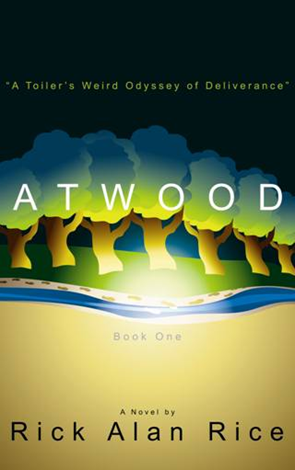 CCJ Publisher Rick Alan Rice dissects the building of America in a trilogy of novels collectively called ATWOOD. Book One explores the development of the American West through the lens of public policy, land planning, municipal development, and governance as it played out in one of the new counties of Kansas in the latter half of the 19th Century. The novel focuses on the religious and cultural traditions that imbued the American Midwest with a special character that continues to have a profound effect on American politics to this day. 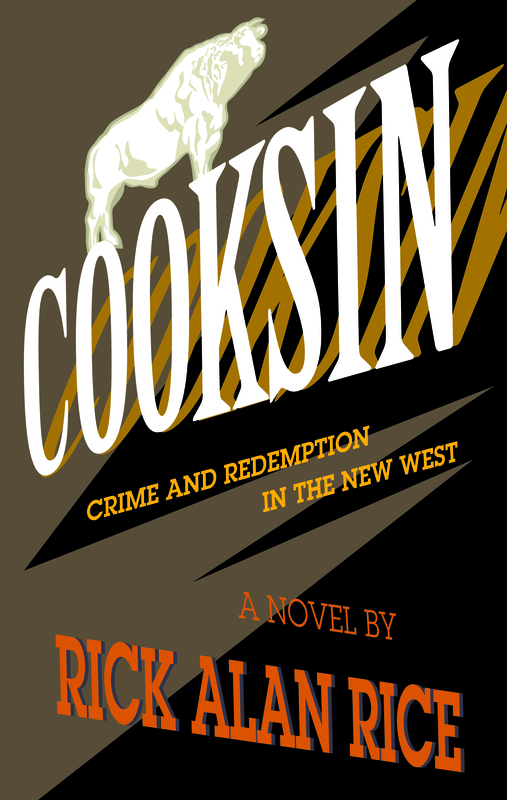 Book One creates an understanding about America's cultural foundations that is further explored in books two and three that further trace the historical-cultural-spiritual development of one isolated county on the Great Plains that stands as an icon in the development of a certain brand of American character. That's the serious stuff viewed from high altitude. The story itself gets down and dirty with the supernatural, which in ATWOOD - A Toiler's Weird Odyssey of Deliverance is the outfall of misfires in human interactions, from the monumental to the sublime. The book features the epic poem "The Toiler" as well as artwork by New Mexico artist Richard Padilla. Amazon is the largest, but far from the only digital publisher. You can find similar treasure troves at NOOK Press (the Barnes & Noble site), Lulu, and others. There is a lot going on here with the RARWRITER Publishing Group enterprises. There are a ton of interesting stories recently published to the Creative Culture Journal (CCJ) at RARWRITER, and a great number of videos. That is one of the most interesting developments to take place over the decade-plus that the www.RARWRITER.com site has been published. We began as a big collector of MP3 performances, which we streamed from the site. But then YouTube became a powerful force in media and everyone began using videos to publish and promote their creative work. That has been fantastic, because watching artists perform their work live involves a whole lot more information than does listening to an artist’s MP3. I don’t know if that is good or not – there is something to be said for leaving the listener with their own imaginative image of who an artist must be - but it certainly brings Websites to life. At the Creative Culture Journal at RARWRITER.com, videos are used extensively, and there may be no other place in the world where one can take in the enormity of the music universe the way one can at www.RARWRITER.com. We are a place where you can find out about everyone from the Louvin Brothers to Cookie and the Cupcakes to Sick of Sarah. We are very proud of that. We could also use general editors and Website developers. If you are a writer looking for a place to park your work, the Creative Culture Journal at RARWRITER.com is a good place to consider. It never stops being yours, and you have the option to do as you will with it (post it forever, post it for awhile, etc.). We want writers who know their subject matter, see through work that is less than fresh, and enjoy the odd perspective. We love “how to” pieces written by people who know how to do stuff that other people are wondering about, like filmmaking, sound production, audio recording, choreography, fashion design, software development, and other. We want writers who can reveal the arcane details of creative pursuits. These are immensely valuable cultural contributions. On the flip side, they don’t pay well. The CCJ at RARWRITER.com is, first and foremost, a labor of love. Writers have contributed works involving subjects about which they are passionate, and having a platform for expression has been all the reward that anyone has received. It doesn’t really need to be that way. We could use sales and marketing people to help us grow our contact base and execute well-conceived strategies for generating advertising revenue. And we need other good ideas for brand promotion. This has not been a focus of the RARWRITER Publishing Group, because we just love what we do and are going to do it whether it turns a dime or not. Still, our arrangement with contributors has been that they can keep any revenue their pages generate. Along those lines, we could use beat reporters for all of the City Link sites. Given the nature of the beast that we have created, there is considerable potential for local, regional, and national advertising. What I have always noticed about www.RARWRITER.com is that we can dramatically spike page views any time we want through outreach such as this. And when we do a consistent marketing effort the numbers go up exponentially, but we just haven’t had the horsepower to maintain that energy, and that’s why we are seeking help! If you would be interested in publishing your articles with the RARWRITER Publishing Group, please contact us by sending an email to Rick@RARWRITER.com. Likewise, if you have ideas for areas of creative pursuit not presently being covered, please do let us know. And please feel free to forward this message to anyone else you might know who might be interested.